Are You Winning the War for Talent? Home of science informed and systems based best practices in headhunting, talent selection, and executive coaching! 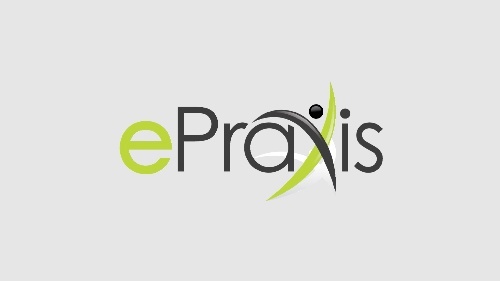 At ePraxis we strive to bring into our everyday business processes the leading scientific research, methods, systems, tools, and algorithms used by our team to give us a leading edge in headhunting for 'difference making' top talent, talent selection, and performance based executive coaching. In 2018, as part of our continual process of improvement, ePraxis will launch a periodic podcast on topics germane to finding, selecting, and coaching difference making top talent. The topics will be in the form of ‘answers to questions’ frequently asked of ePraxis by our customers, candidates, and team members. We start with an explainer video that we prepared to talk about what we do that is unique at ePraxis. Stay tuned as each month we will roll out new content that we hope will be of value to the industries and clients we serve. I have known Severin for many years and he has helped me throughout my career with many different business in which I've been involved. I have also referred him to numerous people who needed business advice. He is very resourceful. He is also an expert in being "care-frontational" I know that he will be honest with me, even if the message may sting a little. As a CEO, this has been invaluable on MANY occasions. Severin has a breadth of knowledge in all aspects of business. I have a learned a lot from him. I highly value his advice and expertise. Rebecca Jensen, Serial Entrepreneur, including CEO Midwest Real Estate Data, Inc. I've known Sev for many years and have found that not only is he an incredibly talented executive coach, but truly understands the core principles of entrepreneurship with his rich understanding of cultivating hustle combined with pragmatic strategic growth. Sev truly embodies what it means to be an entrepreneur through his rich history of successful growth and start-ups of his own to helping dozens of companies become 10x valuations. Severin is one of the most all around business-savvy people I have ever met, with broad based knowledge in a wide variety of aspects regarding running a successful business, hiring, firing and motivating employees. Also expert on business structure, cashflow, organization, etc. He is a gold mine of information and I am glad that I can tap into his knowledge on a regular basis. I have spent hundreds of thousands of dollars over the years on business consultants, some of them the best in the industry. But, none of them can compare to the two short visits I have had with my CEO coach Severin Sorensen. His energy is contagious and his ideas are brilliant. It is like a constant flood of great ideas that break my paradigms and open up whole new opportunities to grow my company. I have never experienced anything like it in the 26 years I have been running companies. Severin is inspiring, persistent, fair, detailed (does his homework), communicative and loves adventure. He excels at making the right thing s happen - within a reasonable timeframe. He challenges status quo and focuses on long-term goals. He does not sweat the small stuff. He is a great advisor and has helped me with thnk through my options as a professional. He is highly trusted.